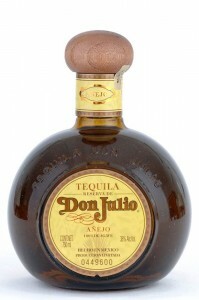 I bought this bottle of Don Julio Añejo more than a year ago while on a business trip to Monterrey Mexico. Supposedly, Monterrey is a very beautiful city – I had no time to enjoy it, I was either in meetings or in my hotel. The Duty Free shop had NOTHING for Single Malts so I figured I’d pick up a nice tequila. I opted for the Don Julio. If you’ve not visited the Don Julio website, I suggest you do. 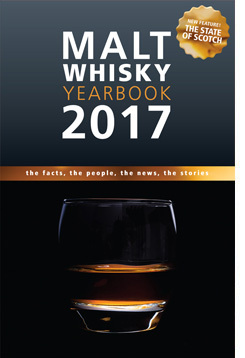 There are some great videos of their process, history and tasting notes that I think are really well done. Check it out. On the nose – Juicy citrus fruits, Mandarin oranges, Ruby Red Grapefruit, lime rind and something a bit creamy. I also smell a bit of strawberry & melon. While this is fresh & fruity, there’s a warming quality to the nose, not as punchy or peppery as a “silver” or “blanco” tequila that has not had any barrel aging. Palate — *Big* on juicy, over-ripe honeydew melon! Oh, good G-d that’s good! Oak comes through as does some creamy vanilla. Smooth, buttery and quite chewy. Lip smacking goodness! Finish – Continuation of the melon, spicy but again, not nearly as much as the “silver” or “blanco” type of tequila. Warming from your tongue to your toes. Butterscotch notes come back up after the swallow; right on the sides of my tongue. Perfect at 38% ABV if you ask me. In sum – I would reach for this any day. Quite fantastic and on a level of it’s own. Oh-so refreshing while warming at the same time. There’s a reason Don Julio is regarded as one of Mexico’s premier tequilas and I just found out why!